indicated to improve skin & coat conditions. 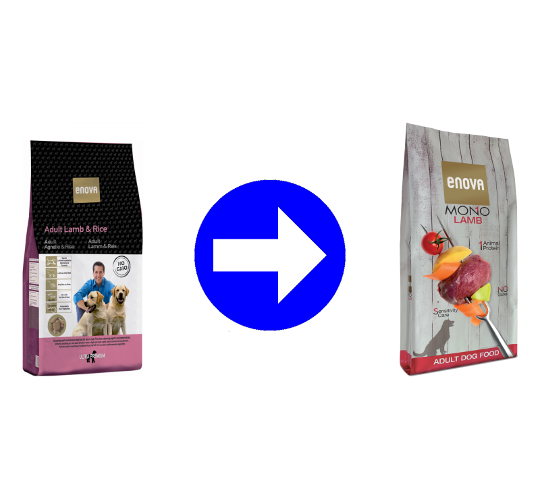 ENOVA ADULT LAMB & RICE is the nutritional choice for those dogs who experienced skin or coat problems that can be related to the food, such as shedding, dandruff and itching. 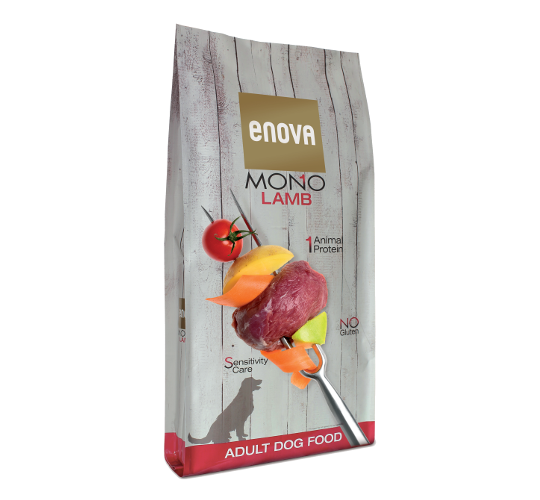 The well-known qualities of lamb meat, such as digestibility and hypo-allergenicity, are suitable also for the most exigent dog; ENOVA ADULT LAMB & RICE contains minimum 26% lamb meat as only meat source. To make the product really effective in reducing the risk of onset of food intolerance, ingredients like corn, wheat, sorghum and glutens, less digestible and often identified as cause of allergies, are replaced by rice, only grain included, known for its high digestibility & its low allergenic power. ENOVA ADULT LAMB & RICE contains also lots of Omega 6 & Omega 3 essential fatty acids, whose beneficial effects on skin & coat are visible after few weeks, and antioxidants & vitamin precursors from vegetables in a natural, bio-available form, who are helpful to protect the body tissues from the damages caused by free radicals.